Do you need a business plan before launching a business startup? What is business planning all about? How do you prepare yourself to launch a business startup which can compete in today’s marketplace? I’ll show you how to prepare your business startup strategy effectively. Once you have a reliable business plan, you can execute your business startup strategy with confidence. Business planning is necessary to achieve success with a business startup. This is regardless of your industry. Your decisions must to be calculated. They should only be made after performing proper due-diligence. That way, you’ll know exactly what you’re getting into. You’ll avoid being blind-sided by the unexpected. Risks, hazards, and pitfalls exist throughout the business startup process. To better understand these difficulties, read the article Business Ownership – Cons Before Pros. 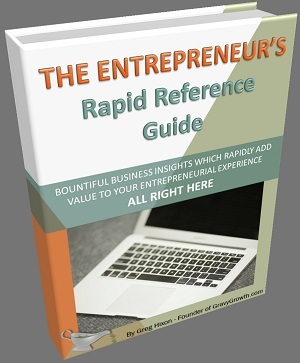 You’ll find it insightful as it guides you through the difficult road of business ownership after business startup. 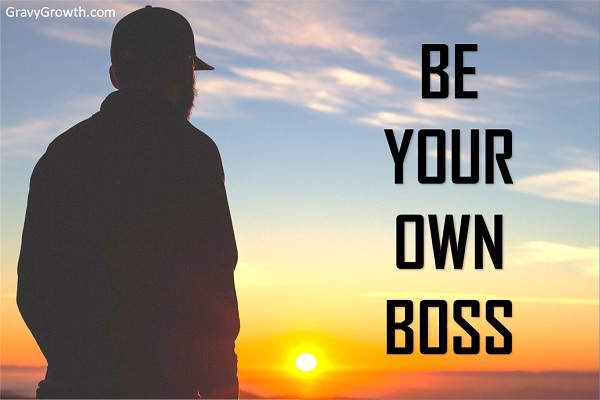 It helps to determine if business ownership is right for you. What does business plan really mean? Plan is defined as a scheme or method of acting, doing, proceeding, making, etc., developed in advance. If you’re a military General, will you go into battle without a plan? Of course not! So why would you launch a business startup without one? The marketplace is quite a battle-field. There are many foes ready to fight (compete) with you. The primary reason for failure by the intelligent entrepreneurs is lack of proper business planning. You can overcome just about any obstacle if you fully understand it. Then devise an effective business startup strategy to overcome it. Be a calculated decision-maker and your chances of success will be high. Knowledge and experience are your weapons during a business startup. If they’re sharp, you’ll compete well. The problem is your business startup strategy. Knowing where to start and how to proceed. Eight-out-of-ten businesses fail after 18 months, statistically. You have a good business idea and you wish to find investors, open a location, and develop a product and market it. Stop and prepare a good business startup plan of action first. It does’t need to be extensive or formal. It does need to be comprehensive. Put in the effort and cover all of the angles. Consider this action-plan your battle-plan, since you’ll need a business startup plan to compete. All of this may sound quite involved, and even discouraging. You just want to get out there and do business. But you won’t be out there long if you get squashed by your competition. The businesses that belong to the 20% club…those two-out-of-ten companies that survive beyond 18 months, involve themselves with this kind of research and business startup planning. You WILL need to compete with them, so do what it takes! Fully educate yourself regarding your industry, your target audience (demographics), your competition and the economic conditions. Anticipate how your customer base will react to your idea. Also, anticipate how your competition will make their moves when you enter the market. Document their weaknesses and target them. The knowledge you gain from this research will be used to form an effective tactical business startup plan. It will allow you to anticipate outcomes and prepare for pitfalls. All of this preparation will be used to define your business model. That is, the purpose and process of your new venture. Your business model will also include customer base definition and distribution-channel identification. That is how you will receive goods and how you will deliver products to your customers. Who are the suppliers and vendors you’ll use and what kind of bargaining power can you bring to the table? You must keep costs as low as possible to improve profit margin, so arm yourself with an understanding of how well you can negotiate deals. If you understand the potential market-share you can achieve, you may be able to convince them to sweeten the deal in your favor. Back that up with tangible fact and figures in your business startup plan. How competitive is your industry? Analyze what makes the successful businesses tick. Understand exactly what the poor performers are doing wrong. Really dive into expected profit margins in your market. Tough competition tends to drive those margins down. Learn how profitable your competition really is. What is the market structure of your industry? Determine the number of firms that exist in your industry and how large they are. The market entry conditions must be fully understood. That is where and how companies typically do business (meet and connect) with their customers. Determine the product differentiation in your field. Know how many types of products or services there are and what kind of differences exist. Understanding and defining your market structure will prepare you to operate tactfully in your industry. Challenge the status quo…the existing state of affairs. Change the game. Maybe you can come up with a new way to do business in your industry. But be careful. Mindsets are difficult to change. You will need some good vision to pull this off. The rewards can be exponentially higher, but there is much more risk with this. Who are your demographics? What makes them tick? To start, the SBA (Small Business Administration) provides many such market research tools. Local economic indicators are available for your geographic area of interest. They include income and employment statistics along with others. Visit the Bureau of Economic Analysis to find a barrage of economic indicators. They will provide key data about the region you wish to do business in. Or you may use this to find a good target region. There’s a wealth of other tools and resources there. They include business training, financial support, and a broad network of affiliates ready to help. You’ll need to know how your target audience reacts to your idea. Time for some market research. Perform Qualitative research using focus groups. Perform Quantitative research using surveys and questionnaires. Market research will ensure that you to provide a successful product to your target audience. Take this data very seriously! After you’ve collected the market research data, it’s time to really get to work. Prepare and interpret the data. Put all of the right KPIs (Key Performance Indicators) into your market research outline. Then, evaluate and prioritize the KPIs that you used in your market research data collection stage. Be objective in your approach to interpreting the data. You need to avoid statistical bias as you proceed with this process. Now that you understand what the public thinks about your product, you need to make the necessary adjustments for marketability. Make your ideas marketable, and then your advertising will be very effective. For an in-depth explanation showing how to perform all of this market research, please read Effective Marketing Strategies. There’s much more to this than I’ve detailed here, so develop an understanding of marketing to really be effective. Investigate them. Discover who their customers are. How loyal are they? Determine the yearly sales volumes of your competitors. Detail their strategies. Read customer feedback. Gain insight from resources like Better Business Bureau about your competition. Study indicators like longevity. You can determine how long each competitor has been in business. Review their history to understand what changes they’ve undergone over the years and why. Research the relationship between your competitors, to see how they act toward each other. That was quite a list! Knowing who your competitors are and what makes them tick will allow you to survive. I’ll compare your competitors to sharks. If you dive with sharks, you need to have a properly designed cage to ensure they can’t bite through it. If you wish to swim with them without a cage, you must fear them. You must understand sharks and fear them without being afraid. You can’t panic. Same with business. You can swim with your competition if you understand them. You must have a healthy fear of what they’re capable of. A nice thought may be…we are much smarter than sharks! I’ll soon publish a blog post detailing how to Identify and evaluate your competition, so stay tuned. There’s more to come! For a short but informative post that’ll help with this topic right now, read: Competitive Analysis from Entrepreneur. How are you different from the competition? What makes them successful? If you plan to enter the market with another version of an existing product, there must be an advantage to yours. Quality, functionality, price, or appearance, are a few factors that can vary. First identify the existing product differentiation among those already in your market. Then perform a good comparative analysis to provide confidence that there are ample differences or advantages. Pre-plan preparation is all about becoming an expert in each of these areas. The level of difficulty isn’t very high. It just takes research and study. Take good notes for reference, and update them regularly as changes occur. The insight you gain from this will provide good visibility into what kind of strategic moves will gain market-share. Now you’re ready to start creating your winning business plan. 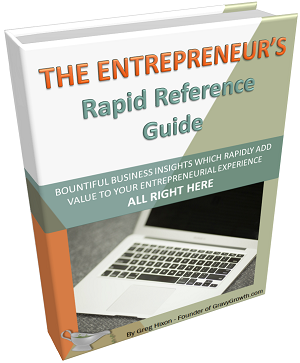 Having performed all of the due-diligence, you should now be an expert in your industry. An effective tactical business strategy will be vital to the success of your business startup. Do this part correctly, and you will ensure your position in the 20% club! Creating a formal business plan, which is also important, will not be the focus here. That is an important process in itself and will be covered soon in another blog post. It is the business strategy in the plan…the meat and potatoes of the plan, that I will be covering here. 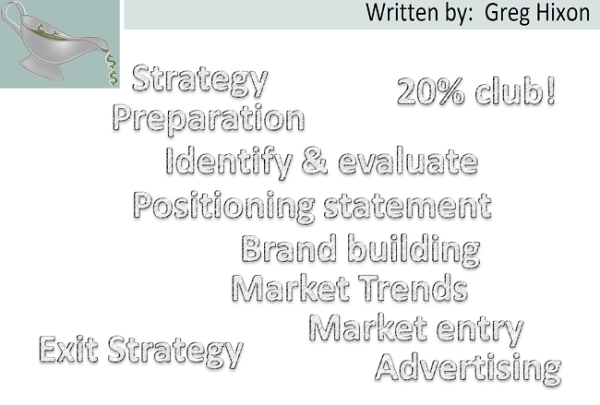 Your business startup strategy, laid out informally, is a guide for you to follow as you execute you business startup. Set rules to follow when you execute your business startup plan in order to keep costs down. Use low-cost or free resources throughout your operation like free trial software versions which you can evaluate during your business startup. Utilize your home office and garage vs. renting a space. Identify every area of spending required during your business startup venture and document it. When your business plan is complete, list everything you’ll need to buy. Brainstorm each item and come up with ways to save money. Take your list, which is basically a business startup shopping list, to some second-hand stores and start saving. Be frugal in all you do. The good stuff can come later when the profits roll in. Establish a positioning statement for the products of your business startup. This statement is very important and should shed light on the unique value your products. What benefits will your business startup bring your customers? Define the target demographic which will focus the advertising specifically on them. The product or service category must be clearly defined by this statement. That will prevent any confusion about what you’re selling. In this positioning statement, you must prove to your target audience that they can trust you and what you have to offer them. The final statement you develop must be short, concise, and deliver impact in each of these areas. This fits well and sounds compelling to their demographic, right? Once you have this statement completed, allow it to fully sink in. It becomes instinct. That way, you’ll always be able to answer correctly when you question any idea. You’ll see whether it fits into the identity of your company or product line. Having a consistent company theme throughout your organization is crucial. It causes customers to become accustomed to the environment that you convey to them. This experience must come from all of the points of contact at your company. This is called cross-channel customer experience. Familiarity can be achieved from your customers and that’s very powerful. It’ll heavily contribute to brand recognition and appreciation. Keep your staff excited about your products and services. Be a motivational speaker for your company! Your staff will be more responsive to you and your customers. When your customer sees that you and your staff are excited, it will spill over…especially when it’s consistent across all points of contact with your company. Brand building is the process of creating deep connections and forming an emotional relationship with your customers. This is’t easy. It takes much time. Read Gaining Customer Loyalty for an in-depth dive into what it really takes to make customers stick with you. By aligning with one or more charitable cause or mission, you’ll start to establish brand recognition and trust in the marketplace…brand building. Be authentic and truly care about the community. The public will call you out on it if you’re not genuine. That will destroy all you’ve created. When you show that you care by contributing back, public support for your brand will grow nicely. The good news is, this is an easy area to enter since they’re actively looking for support and exposure. This is true even if you don’t have much to offer at first. This type of alignment is very rewarding in many ways. Never target the general population. That is a recipe for failure. 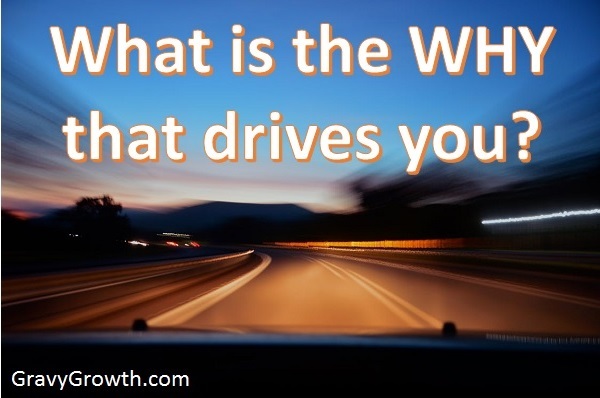 Narrow your focus on who will actually pay for your products or services…your target audience. You’ve c lready identified them in your pre-plan preparation. Now put this into your plan of action. Who is your target audience? To aim for the younger crowd, it must be hip. For academics, style and class are key. Regional culture considerations must also go into this. The form, fit, function, and presentation must all be focused on your demographics in an appealing way. There’s no need to discuss all of the many, many forms of advertising out there. You see it all around you, on the streets, on television, online, and you hear it on the radio. The forms of advertising you chose for your business startup will be based on your industry and what you can afford. More than that, which form of advertising will be most effective for your business startup? Choose the variety that provides the best bang-for-the-buck. Be sure to start small so you can optimize your ads affordably. One defining factor used to determine your advertising budget is the cost of customer acquisition. This number is derived from a simple equation: Money spent to bring them in divided by the number of customers you receive. The equation gets more complex when you add customer loyalty and repeat business, but those factors lower the cost of customer acquisition. Before you advertise, you must first be fully prepared to sell. You and your sales staff must truly understand your product or service, and be ready to deal with the public when they inquire about it. Ineffective answers to inquiries after advertising simply wastes the time, effort, and money that went into finding customers in the first place. After you have sales people in place that can really sell and close deals effectively, you’ll be ready to advertise your products or services for your business startup. A successful advertisement will compel your target audience. It’ll create a desire and reveal a nice way to satisfy that desire. Appeal is very important but can be very difficult to determine. Usually, ads, after much evaluation and improvement, need to be tested. Good statistics must be kept with every ad design iteration and then compared to the previous version. This is a very involved process but will allow you to tailor your advertisements for your target audience to maximize their appeal. Set a tone which caters to your customer’s wants and needs. It will help shape their associations, feelings, perceptions and attitudes about your brand when they think of products or services related to your industry. One rule to consider for any advertising campaign…if your small business is unknown, it must be seen multiple times in order to gain trust from the public. It’s human nature for people to slowly gain trust in something or someone simply by having reoccurring contact. The first time they see an ad from your company, they will probably disregard it. They don’t know who you are. But after seeing an ad from you multiple times, if they have an interest in your product, their confidence will begin to build. They may finally inquire about your product. Knowing this, be patient. Repeat your ad campaign over and over until you really start seeing results. After that, like magic, your phone may really start ringing off-the-hook, or your in-box will start to fill with inquiries. As I stated before, there are many, many forms of advertising out there. Find the one that will be most effective for your business startup and for each dollar you spend. Now that you fully understand your target audience, build your negotiating power with suppliers and vendors. You are an industry expert based on your research, so put a plan together for how you’ll enter the marketplace. Detail all of this out, and thoughtfully plan how you’ll execute in each area of your business startup strategy. This thought process is very important, now that you have a differentiated product that is ready for market. Document it well and commit it to memory. You don’t want to be caught off-guard during business startup. Remember…challenge the status quo. The rewards you’ll receive if you can change the way business is done in your industry will be wonderful. You must mitigate the risk. Put it into your business startup plan and test it! To the customer, your company is only as good as the last time they had contact with you. Small businesses, not having universal brand recognition, must provide stellar customer service along with a stellar product in order to stay on top of the customers mind. Good memories don’t stick in the mind of your customers as well as bad ones do. This provides an on-going challenge during business startup…keep the good memories flowing to your customers! There’s a strong bond that can be achieved with your customers when you provide them with repeated good memories…customer loyalty. Customer confidence comes from the trust you establish with them, but customer loyalty is the bond that keeps them coming back. To better understand how to provide the best customer experience, read Gaining Customer Loyalty before launching your business startup. Sometimes major setbacks occur. They may put you out of business. Examples are: The death of a key stakeholder, or your own illness. Be sure to start and then contribute to a retirement fund. Purchase some of the many types of insurance. To list a few: Employee liability, commercial auto, general liability, property, worker’s compensation, professional liability and data breach. There are many types of insurance that an agent would love to sell you, so get the information about what is available, and what each one covers, but then be shrewd. Insurance is a service, even if much of it is mandatory, so treat is as a product and weight the cost vs. value for each type. Don’t over-insure. First, comply with what is required by law, and then go with your instinct, based on research and shopping around. If you plan on selling your company after reaching a certain mile-stone, like gaining a specific amount of market-share, put that into your business plan so you know when and how to start advertising your business startup. You will have to wear many hats…perform many jobs as a business startup owner. But you can’t do everything. Plan to hire key staff members that can help you get to then next level, time and time again. Lay out the details for this in your plan so you can anticipate what kind of help you will need based on your own talents and short-comings. Think through and document what stage you expect to need this help. Write up your plan to convince them to join you, since you probably won’t be able to provide a competitive wage during business startup. Monitor changes in your market in a on-going way. Track customer needs, new competitors, and new technologies. This process should never stop. Changes occur often in every industry so stay on top of them. Make adjustments to stay competitive. Anticipate changes before they occur and you’ll be able to change course on a dime. Out-wit your competition. From industry publications and internet content like blogs, stay on top of it during and after business startup. Also, monitor social media to look for trends. The object is to get out there ahead of your competition with every iteration of your product or service. Get your products out to your market before your business startup to allow for feedback and testimonials ahead of time. You can use this in your advertising when you launch your business startup. One way to do this is to provide free samples of your products in a creative way. Another idea would be to set up a booth in a public place or event to more easily get it out there in small quantities to start the momentum for your business startup. Following trends in your industry may be a safe way to stay competitive. But strategically setting new market trends will truly make you stand out. Put your business startup vision to the test with this one! Manage your business startup plan like a project. Timeframe management, milestones, commitments and good communication and understanding. Use good resource allocation so key players get their piece of the project. assign key deliverables. Project management is important for successful execution of a business startup plan too. Be calculating and tactical every step of the way and your business startup may have great success!